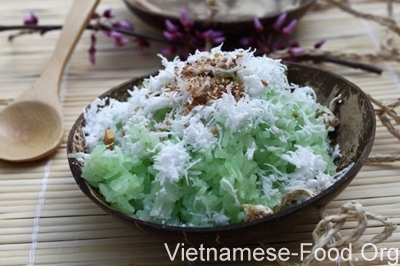 A distinctive pandan flavor,glutinous rice and shredded coconut on the top of the sticky rice,is served with roasted peanuts and sesames. - Pandan leaves are cut into short pieces. 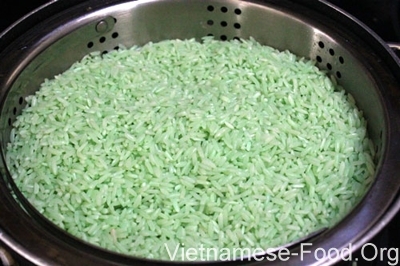 - Put pandan leaves in the liquidizer with cold water.To filter the mixture to get the first water. 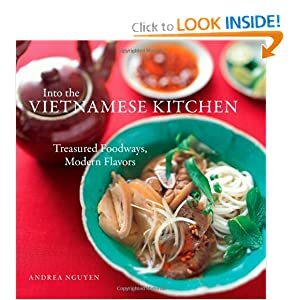 - To dissolve the juice of the pandan leaves with about 2 liters of cold water, pour glutinous rice into the mixture to soak overnight. You remember to add a teaspoon of salt. -The next day, to fish out, to drain. 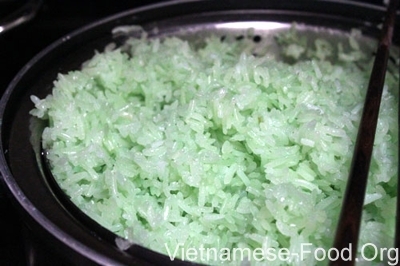 -Pour glutinous rice into the steamer. You sometimes stir glutinous rice by chopsticks. Add a little sugars (depends on your preference). - Roasted peanuts and sesames are crushed. 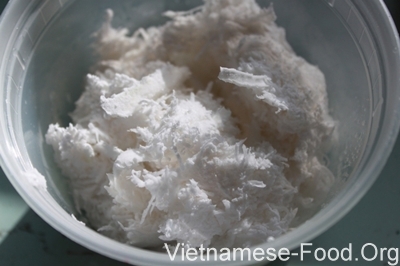 - Then you ladle it out into the disks,put shredded coconut, roasted peanuts and sesames on the top of the sticky rice.Served when it is still hot. 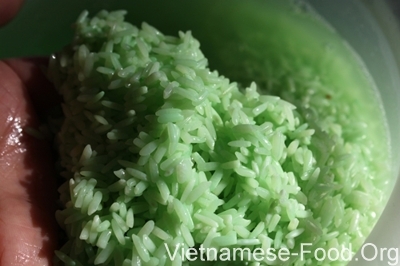 Glutinous rice is soaked overnight. To stir glutinous rice by chopsticks.